To me, cava has been synonymous with harsh and bitter—something I wouldn’t even combine with orange juice for a mimosa. I think I may have discovered the problem: I suspect all of these cavaphiles are drinking their 8€ value cava in Spain! By the time the cava they don’t drink in Spain reaches our shores, we’re drinking something less than optimal. That is until recently. Independent cava producers in Spain are joining together and doing to cava what Italy did to chianti in the 1990s: bringing cava worth drinking to a broader audience. Pere Guilera of Cava Guilera preparing for disgorgement of the lees. A few quick notes about cava. 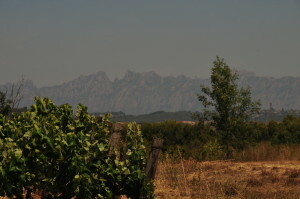 Most cava is produced in the Penedès region of Catalonia with three traditional grape varieties: macabeo, parellada, xarello, and using the méthode champenoise. Some add other grapes, but unless you specifically want a rosé, I’d stick with the traditional varieties (more on that, later). 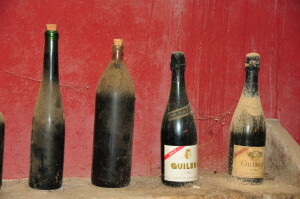 There are three levels of cava (based on age): Cava, Reserva, and Grand Reserva. You can tell what level you have based on the control mark on top of the foil. White for Cava, green for reserve (aged a minimum of 15 months) and black for grand reserve (aged a minimum of 30 months). It ranges from brut nature (the driest) to dulce (the sweetest) in sweetness. Like champagne, cava (or at least good cava) has a nutty, yeasty flavor in addition to any other notes the particular bottle may impart. Unlike champagne, cava pairs a bit more readily with a variety of foods, especially Spanish foods from the Catalan region. Unless, that is, you try to muck it up by adding chardonnay. Then, rather than having a well-balanced wine from the region, you might as well and go buy an $8 no-name sparkler. We ran our cava through the paces with not just local cheese, but tête de moine, jamon iberico, sausage and fruit, as well as seafood (including fideuà). The reservas we tried were the most versatile, and at around 8-10€ per bottle, the best values. Here in the states, if you pay attention you can get an excellent bottle for $10-$15. Indeed, as I write this, I’m enjoying a simple, $11 dollar bottle of cava with some aged gouda. Perhaps not the extreme value you find in Spain, but a better value than French champagne by far, and even better than California or Argentinian sparkling wines. 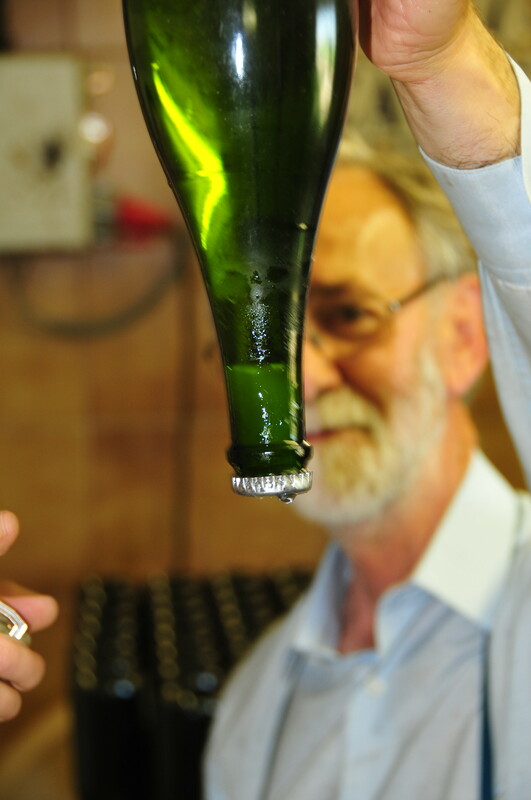 Just make certain that you get cava using traditional grapes and made in the traditional method. Avoid the mass-produced stuff like the plague until they figure out that quality matters. Pick up a bottle (or 6), some good food, and give cava a whirl. And ¡buen provecho!